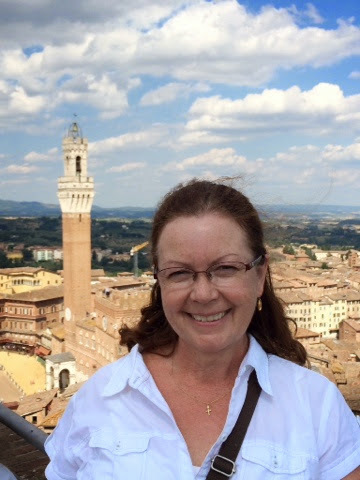 Picture of me taken on the unfinished extension of the cathedral in Siena -- aptly named the Panorama. In the background is the City Tower (Torre del Mangia) with the main square (Il Campo) below, with preparations underway for Palio (the big horse race held on July 2 and August 16). We are on holiday in Italy right now. In fact, I am currently enjoying the afternoon respite from the heat (siesta) at our hotel in Siena. The blurb makes the book sound really cute and fun and quirky. I fully expected a book about the difficulties associated with cranial reattachments and weird symptoms related to that...a kind of Frankenstein-freak story. But Noggin isn't really about the new head. It is about coming back to life after five years and expecting everything to be the same as before, especially in the relationship area. It is about being sixteen when his friends are now twenty-one. Noggin poses some ethical questions about medical advances and whether we should embrace all the things we "can" do medically. But it doesn't probe too deep or linger too long on this topic. I wish that it did more but I suspect that teen readers won't mind. I read this book as part of my search for selections for our Mock Printz list. Based on the deficiencies noted it does not seem special enough to be on our list, but my partners on the selection committee may have other thoughts. Last Sunday was my youngest daughter's graduation from college week-end so I didn't have a moment of extra time to put out my usual Sunday Salon. This edition, therefore, will be a retrospective on the events of last weekend. Weather: turned cold. We actually had to turn on the heat in the house because our company kept complaining about how cold it was. It rained a bit on Sunday on our drive home from Seattle but the ceremony was inside, so we were dry. Friday: my parents, sister, and her family came into town. We had dinner together and visited before bedtime. I was super tired after a week of textbook collections and end-of-the-year stressors in the library. The van: Don had a brilliant forethought a few weeks ago and reserved a twelve-passenger van for the week-end. With out-of-town company, two trips to Seattle and back, and limited parking it made since to get as many of us as possible into one vehicle. Plus our family members aren't comfortable driving in Seattle which is usually a challenge on a good day. The added benefit, we all got to be together to debrief the day's events on the way home. Saturday: Baccalaureate was at 2:30 PM in St. James Cathedral. We had been warned that the church filled quickly so we left our home two hours early. Lucky we did, too, since we encountered a seven-mile back-up on the freeway. Don knew the way around using backstreets and secondary highways so missed the worst of it. The baccalaureate mass was "high church" with all the trappings of the best Catholic masses with processions, incense, and pipe organs. The SU Choir sang several hymns and seniors in the choir we assigned as service cantors. Carly cantored a song with two of her choir mates and, of course, I thought she sounded like an angel. Afterwards we ran into her choir director and the choir assistant outside the church and they had such kind words for us about Carly and her leadership in the choir. Choir has been a wonderful, safe place for all four years of college and all her best friends are choir members. 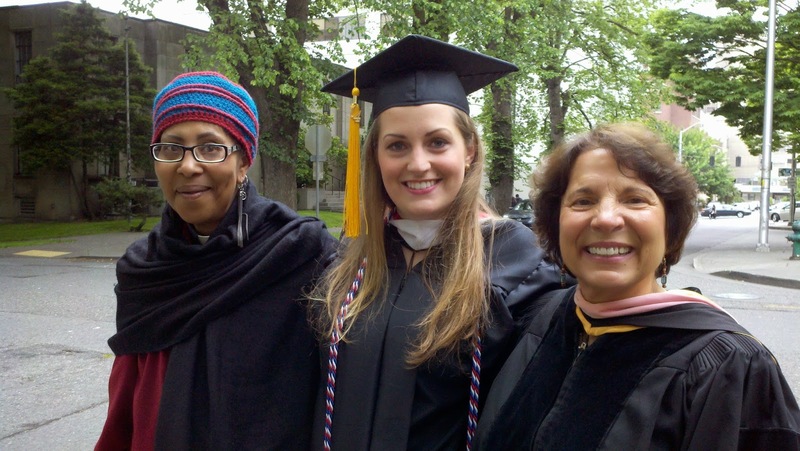 Carly with Doc (right) and Lee (left), her choir professors. The College of Science and Engineering: held a reception for graduating seniors and their families after baccalaureate. It was really a swanky affair with wonderful hors d'oeuvres and drinks. Don wondered aloud where they got the money for it and then smiled and said, "Oh yea, we paid for it with our private school tuition." Several professors talked to us about having Carly in their classes and we were relieved to learn that she wasn't invisible to them. She is so shy and quiet. 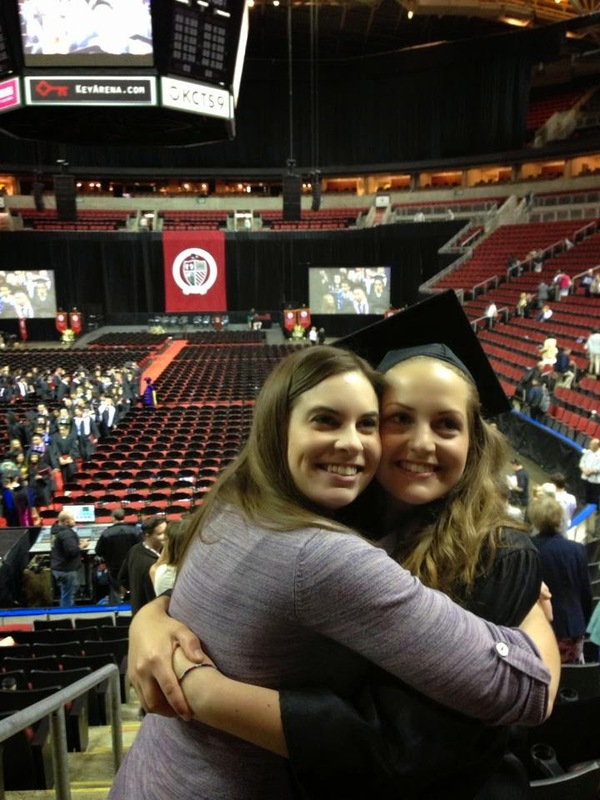 Graduation: was held in Key Arena, the basketball stadium where the Sonics used to play before they were stolen away from our town (ahem.) Once again we arrived early in the van and found great seats facing the stage. Though 1200 students were getting their diplomas, the school was very organized and it didn't take that long students to file in and take their seats. I had fun watching the faculty advisors helping them since that is the role I play at the high school level. I love all the regalia they wear, too. Many of the professors look like they just stepped out of a time portal for the 15th century. National Anthem: Senior members of the choir sang the National Anthem with Carly, our lovely soprano, supplying the song with the very highest notes. It was fitting that the very last time she sang as a SU choir member she sang the National Anthem, as if it were a send off from school to the rest of the world. Of course I shed a tear or two, as did her dad. The speaker: was Jo Luck from Heifer International, an organization that works on world hunger issues by giving animals to cooperatives to better the health and finances of whole communities. She was very inspiring and talked a lot about dreaming big and doing something with your life to better the world for others. One cool thing about attending a Jesuit school, they really care about social justice. 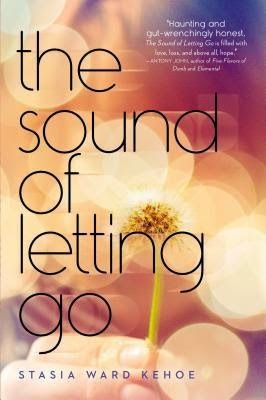 The Sound of Letting Go by Stacia Ward Kehoe...a high school junior is getting fed up with her life which revolves around her autistic brother and his needs. Open House: since the family was here for graduation we decided to have the party the same day even though it made for a crazy, busy week-end. We raced home, ran around the house setting out food that was catered by my neighbor and friend, and opened the house for the party within an hour of getting back. 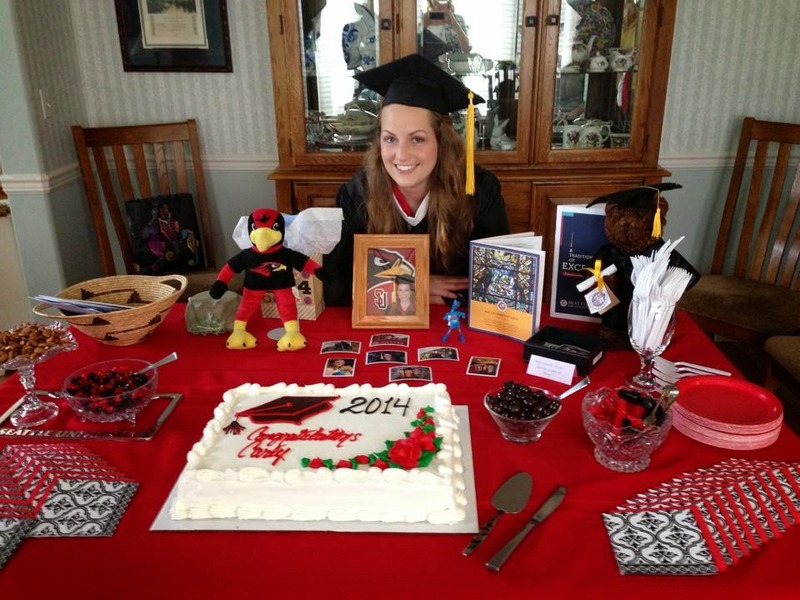 72 friends and family members came to spend time with the graduate and we felt their love and support. Believe me. I don't know if we said it enough, but we were so grateful for everyone that came and spent any part of the big week-end with us. We had a wonderful, if not exhausting, time. Thank you for joining in our celebration. Father's Day: after everyone left and Don and I were getting ready to go to bed early, I remembered that I forgot to give my dad his Father's Day present. I got him The Storied Life of AJ Fikry because it is essentially a love letter from a father to his daughter. I turned it around and said that the book represented a daughter's love for her father. We had to run the gift over to the hotel where he and mom were staying and we stayed a while for a bit more visiting. So we didn't get to bed early after all. Monday morning: 5:30 AM. Last day of school for the year. I really didn't want to get up when the alarm sounded. I guess there always has to be a last day of school each year, but why make it on a Monday? Ugh. 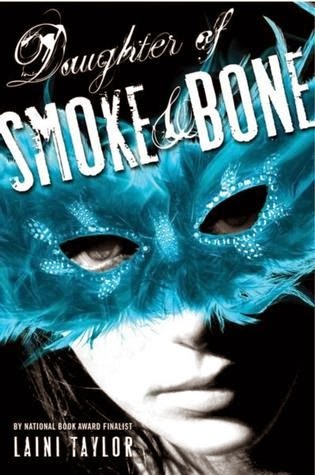 Having just completed the third book in the Daughter of Smoke and Bones trilogy by Laini Taylor I sighed from relief because the books was so long and so big and I wondered if I would ever make it to the finish line with it. But after a few days reflection I can say without any reservations, the series is worth the effort. Here is a recap of the three books and I promise, no spoilers. 1. Daughter of Smoke and Bone, published in Sept. 2011, 418 pages. In the first book of the series readers meet Karou and Akiva. Karou a young art student with blue hair who often seems to vanish for a few days at a time, and seems to have a tremendous talent for drawing monsters. She doesn't seem to have any memory of her past. Akiva, on the other hand does know about her past. If he decides to reveal these secrets to her it may endanger them both. This is a classic tale of good versus evil but one is never quite sure which side is which. It is also a love story that transcends time. This was a Mock Printz selection in 2011 and the student readers really liked the book but haven't flocked to the sequels. Now that all three books in the trilogy are out I hope start over and gain some devoted readers for the series. 2. 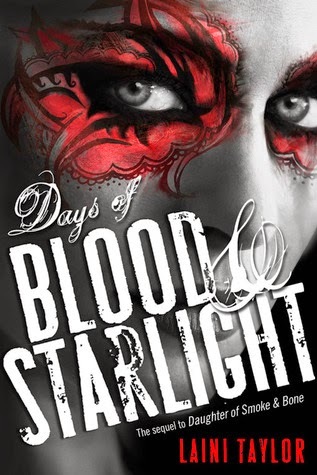 Days of Blood and Starlight, published in Nov. 2012, 517 pages. In this sequel Karou seeks redemption by trying to avenge the wrongs done to her people by the angels on the other side of the war, by denying her love for Akiva, and by running away from her past. But how can she deny what is in her heart? And how can she choose sides when both sides have good and evil parts? How far will Akiva go to find her and at what cost? Like most middle books in trilogies readers are left with lots of questions and won't get relief until the third book. Akiva and Karou must team up to save their people from the brutal Jael, a seraph who has trespassed into the human world and wants unthinkable weapons. Can they avert the cataclysmic danger and forge a peace for all peoples and kinds when everything in the whole universe seems askew? And will there be a place in the world for the two of them to be together ? "An ending is reached. It's deeply satisfying, a little bewildering, and unbelievably sad to be closing this chapter in my life. A trilogy, completed! I'm still dazed." As a reader I feel a little dazed, too. After spending over 1500 pages with the characters and their worlds it is hard to let them go. I want more but I now have to let my imagination fill in the possible endings and beginnings for Karou and Akiva from this point forward. Believe me, it is worth the effort. Top Ten Tuesday: Books I hope to read this summer. 2. We Were Liars by E. Lockhart...a modern, suspenseful mystery; all four of the professional reviewers give this book the coveted starred review. 3. The Story of Owen by E. K. Johnston...Owen is a dragon-slayer in modern day Canada. Fantasy with a twist. It is good to have a few Fantasy and Sci-Fi books on our list. 4. Complicit by Stephanie Kuehn...trust no one or anything you learn in this psychological thriller . 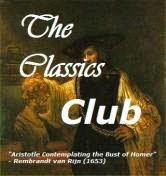 The reviewers love this book. 6. Half Bad by Sally Green...one boy's struggle to survive in a secret society of witches. Students who have read this tell me they really liked it. My only concern is that it is the first part of a series and serial books rarely win the Printz. 8. Gandhi: My Life is My Message: a graphic biography by Jason Quinn...we usually have at least one graphic novel and one nonfiction book on our Mock Printz list. This book would fulfill both. 9. Why We Took the Car by Wolfgang Herndorf...a funny coming-of-age, road trip novel translated from German. 10. She is Not Invisible by Marcus Sedgwick...Sedwick is an incredible writer. 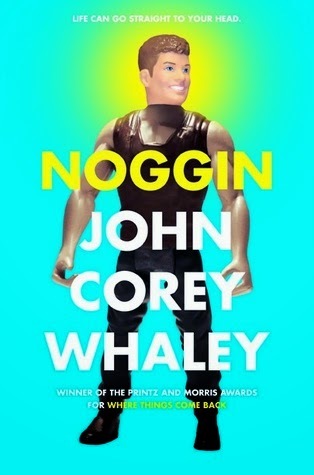 If he writes something it should be considered for the Printz, though I am not sure if he will win two years in a row. "She Is Not Invisible is an intricate puzzle of a novel that sheds a light on the delicate ties that bind people to each other." If you know some other YA books that were (or will be) published in 2014 that you think are worthy for consideration to the Mock Printz list of books, please let me know those titles. Thank you. Also if you have read any of the books I've listed please let me know what you thought of them. So far we have over 30 books on our initial list of possible choices and we have to cull that list in half. We need as much help as possible. This one is my favorite. It is colorful and captures Carly's personality so well. The St. Ignatius Chapel has a reflecting pond. We tried several artsy shots around it. Can you see tiny Carly in the crook of the bell tower? This picture seems symbolic somehow of college and the changes ahead. The school crest is painted on pavement at the entrance of the university. I am amazed that this shot worked. By the time we took it it was getting quite dark. Carly is standing in front of a favorite picture that is made of puzzle pieces. It is hanging in the library. This cross is also hanging in the library. This colorful shot is Don's favorite. I was the location scout, Don was artistic director and photographer. Book Beginnings on Friday is hosted by Rose City Reader. The Friday 56 is hosted at Freda's Voice. Check out the links for the rules and for the posts of the participants each week. 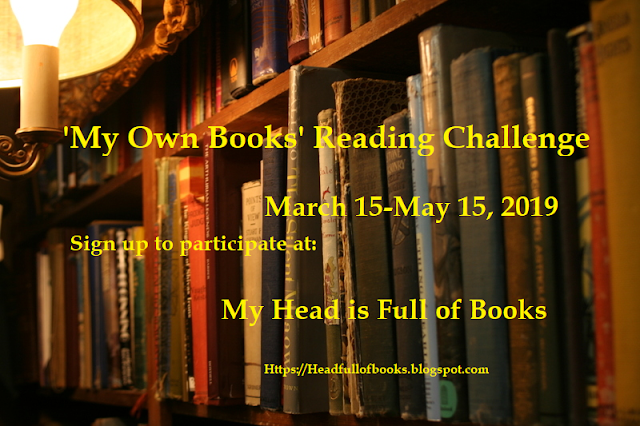 Participants don't select their favorite, coolest or most intellectual books, they use the one they are currently reading. Dave Miller grins in my direction. 'Good that you stayed with us, Daisy. That guy is such a jerk,' Ned says. the implied "us" of Justine-and-Ned. My thoughts: I just started the book today. I'm only on page thirteen and I am already entranced. Once I get into the rhythm, I enjoy reading books written in poetic-style like this one. 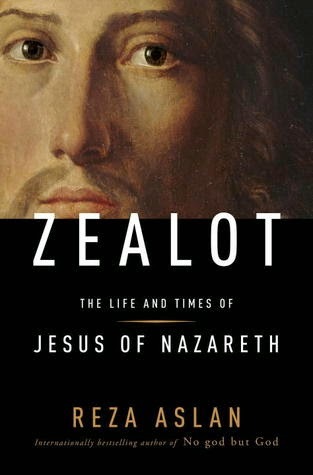 Zealot: the Life and Times of Jesus of Nazareth by Reza Aslan has certainly been a lightning rod book drawing all kinds of publicity, both good and bad. I first heard about the book Zealot after a Fox News interview of Aslan which has since been called "The Worst Interview Ever." The interviewer grills Aslan, who is a Muslim, and asks him what gives him the right as a Muslim to write a book about Jesus. Aslan is calm and cool and the interviewer looks unintelligent and biased. Take a look at the highlights of the interview in the YouTube video below. In the interview Aslan claims and reiterates often that he is a scholar who has four degrees in ancient history and Greek and he just happens to be a Muslim. When I first saw the bad interview and the subsequent backlash, I decided to read the book to learn more about Jesus and the world in which he lived. And, more importantly, to see what all the fuss was about. Well, my reaction to the book surprised me. It really bothered me. Aslan basically tore apart many tenets of the faith such as the virgin birth, the resurrection, even questioning whether Jesus could read. He defined what he meant by calling Jesus a zealot and admitted that he was a good person/prophet but doesn't believe he is the Son of God. As I listened to the audiobook I found myself wanting to plug my ears and sing so that I couldn't hear it anymore. Real mature reaction, huh? As soon as I finished the book I raced to the Internet to find some review of the book by people who know more than me about church history. The review by Dale Martin in the New York Times was the most balanced that I found. Dale Martin, a professor of religious studies at Yale University, points out some inconsistencies in Mr. Aslan's book. He found some good points, too. I agree with him. The historical information in the book was fascinating and I learned a lot about the world in Jesus' day under Roman rule. Aslan is also a very strong writer. Zealot shares some of the best traits of popular writing on scholarly subjects: it moves at a good pace; it explains complicated issues as simply as possible; it even provides notes for checking its claims" (NYT). At the end of his review Martin says that Reza Aslan currently teaches creative writing as his profession and is not teaching on anything related to Christianity or Judaism. Whoa. What did he say? I just watched the video where Aslan kept telling the Fox host that he was a scholar with four degrees. After a little more digging I found that Reza Aslan's undergraduate degree is in Religious Studies, a Master of Theological Studies, and Ph.D. in Sociology of Religions, and he later added a Master of Fine Arts in Creative Writing. He can read a bit of Greek but isn't fluent. In fact, Craig Evans writing for Christianity Today says "Zealot often reads more like a novel than a work of historical analysis." Which makes sense considering what Mr. Aslan teaches. I became very unsettled after reading Zealot. I didn't want to discuss this book with just anyone, I wanted to discuss it with my pastor or my dad (who is a pastor!) I wanted to talk to someone who had been to seminary. When I mentioned this to a friend she reminded me that Christians take many aspects of our religion on faith. Faith is defined as a "strong belief in God or in the doctrines of a religion, based on spiritual apprehension rather than proof." I didn't need to let the information in the book cause me stress because so many of our beliefs had to be accepted in faith. The book is certainly provocative and made me think. I was interested in the cultural and historical information within it but was uncomfortable with the information that seemed to be intended to disassemble my faith. For these reasons I will only recommend this book with deep reservations. Let's put it this way, I am not a zealot about Zealot. Dang it. I did the same thing last summer. I got a slow start and missed several weeks of the SYNC Audiobook event of the summer. Do you like to listen to books being read for you? Do you like FREE things? Do you have an iPod/iPad/Tablet/Computer where you can listen to audiobooks? 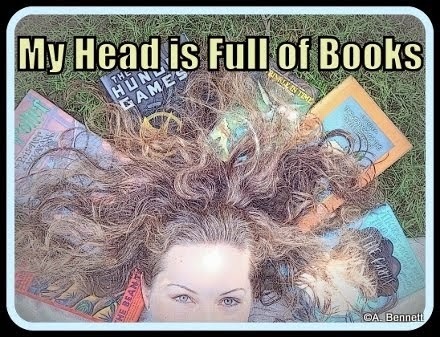 If so, hop on over to SYNC and download two free audioboooks a week. One is a YA title, the other is considered a classic. Here is the link to the SYNC Webpage and here is the link to their download schedule. SYNC is sponsored by AudioFile Magazine and titles are delivered through OverDrive Media Console. 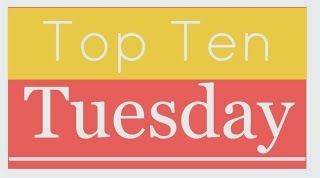 It's Top Ten Tuesday. This week's topic: Favorite books read so far in 2014. That is a toughie. It is hard to remember my favorites. I consulted Goodreads and listed my 5-star books in the order I read them. 1. The Round House by Louise Erdrich...it reads like a modern classic. Set on a Native American reservation. It is a coming-of-age story and a murder mystery. My first 5-star of the year. 2. Go: A Kidd's Guide to Graphic Design by Chip Kidd...this guy know graphic design and the book is proof of his craft. I learned a lot and enjoyed myself at the same time. 3. The Ocean at the End of the Lane by Neil Gaiman...a favorite author does it again, Gaiman writes a book that is a bit scary and very creative. 4. Wonder by R.J. Palacio...everyone should read this Junior book about a boy who has a facial deformity. It is a book about friendship and acceptance. Very inspiring. 5. How to Teach Your Children Shakespeare by Ken Ludwig...I was completely inspired to incorporate more Shakespeare into my life. 6. The Shadow of the Wind by Carlos Ruiz Zafon...a book about a book and the tangled lives of the author and owner of the book. Set in Barcelona. 7. Cress by Marissa Meyer...the only YA book on my list. 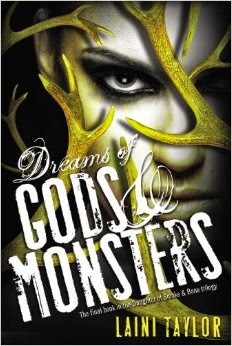 This is the third book in the Lunar Chronicles series. 8. Beautiful Ruins by Jess Walter...I really got "into" the theme of this book of ruins. It has a cast of quirky characters and is partially set in Italy. 9. Rules of Summer by Shaun Tan...I just love anything and everything by Shaun Tan. 10. The Storied Life of A.J. Fikry by Gabrielle Zevin...this is a book for people who love books and bookstores, and for those who believe in the transformative power of literature in our lives. This will be the book I recommend to friends and family this year.